Just got a message from TC that my capsule is ready for shipping! So excited! Hoping to be able to order pcb and donor body etc soon! Still going a bit back and forth about wether to go c12 or 251 style. Some people say that the 251 is the best of both worlds being more balanced like a split beween a neumann and a c12. Any thoughts? In my specific recording environment, the M251 is a bit more versatile and the C12 sits mostly as a special use microphone. But, every recording environment, setup, and subject is different so it is it is hard to make the determination without actually trying it. I’ve heard more than a few say exactly what you say actually! Seems like the C12 build wise might be a bit more straight forward since the pictorial is so easy to follow. But I’m leaning towards the 251 still as it seems to be right up my street! Maybe a 251 pictorial will be up when the time comes? Sitting here looking at my newly arrived CT12 longig to order and put this together! I have all of the photos for the 251 build already edited. I just need to finish the write-up. The build is just as straight forward as the C12 on the new boards, and I do have several of the verification samples on hand for anyone who might want to give it a go. Both C12 and ELA configurations should be in stock soon. . .well, as soon as factories re-open in China. They are on their Chinese New Year holiday and pretty much the entire country is shut down for the break. Another question, do you still stock some chinese ck-12 capsules ? I would need one for some tests. Ouch! Out of HT-11 bodies. Oh no. GT-2B's are in stock. I am working on another production run of HT-11A, MK47, and possibly another mid-tier U47 type body right now. Unfortunately, I will be out of stock on some mic bodies for a stretch, but I am making a big production run, so they should stay in stock for quite a while once I get them in hand. Any sound sample like acoustic guitar , voice , recorded in flat with a transparent preamp (as well) ? better more a comparison with an original unit . I ordered somethings on feb 23th and emailed 2 days ago but haven't seen answer. Did you see the order? when will be shipped my order? I emailed you a couple of days ago and haven't heard back. I received the SYT-5 body I ordered from you and the first thing I noticed was that the headbasket was all jacked up. (see photo) Can you send me a replacement headbasket? After being told the engraved body was not in stock two weeks after I ordered it when it was in stock, and then having to settle for the unmarked body for my birthday build, I'm not happy about this. 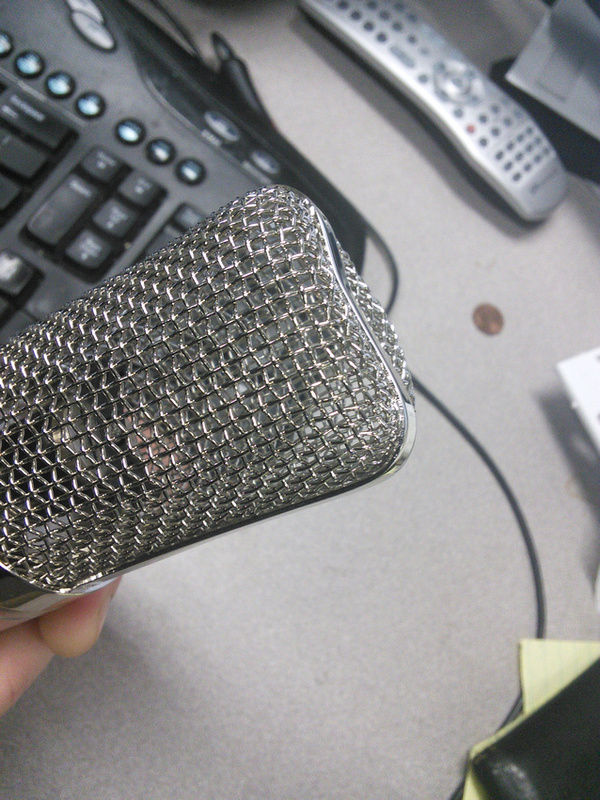 This looks like "B" stock and is not what I was expecting when I ordered a brand new mic body. This happened to one of mine. He says it sometimes happens in shipping and will send you another headbasket, don't worry. I have no doubt Chunger is the kind of guy who will make this right. I get it that he's a very busy guy, but I just find it frustrating that because there is no damage to the shipping box, or the wooden box the mic body was shipped in, it would seem it was shipped with this headbasket defect. And even more frustrating that customer service issues don't seem to merit a response. I have observed damage to a few HT-11A and SYT-5 bodies shipped inside of their wood boxes and generally send replacement headbaskets out to replace the damaged units. If you are truly unhappy with your build and the body kits that I try to make available, feel free to send everything back and I will refund your purchase, your shipping, and your return shipping costs. Headbasket damage happens in very few instances I presume as a result of a sharp impact directly on the flat side of the box which causes the mic to jar enough inside of the soft foam to impact the headbasket. 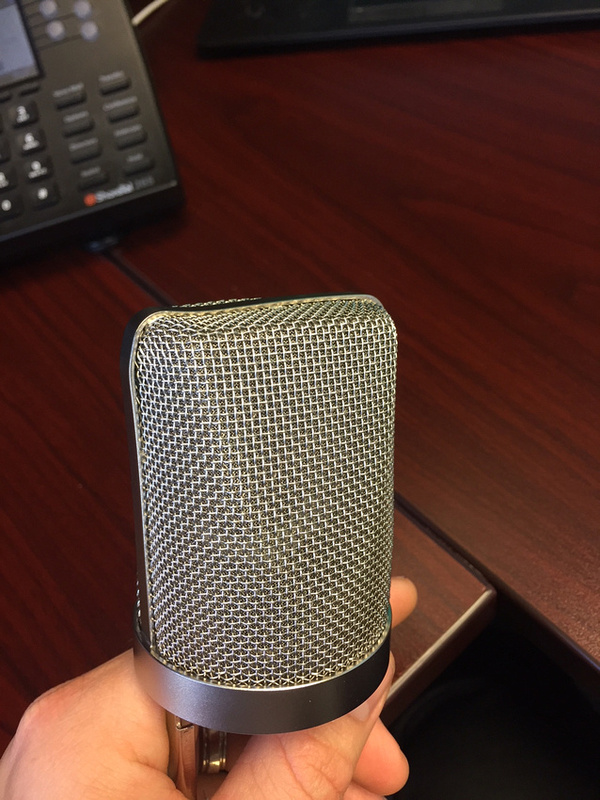 I do not ship damaged mic bodies unless it is explicitly agreed that the customer wants a B-stock unit, the defects are clearly stated in the product description (ie., very cheap product with possible manufacture defects), or it is an item that does not get individually opened and inspected by me before shipping. The SYT-5 is not one of these items. 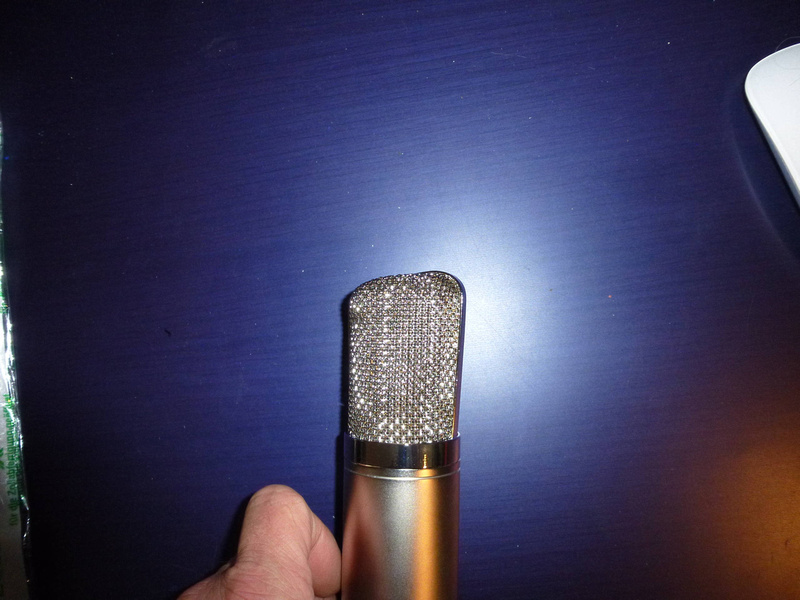 I have been unhappy with escalating shipping costs for a lot of these microphones, and the trade-off I have made is to continue shipping in the most economical way possible while packing everything in what I feel is a reasonably secure way. The alternative is to transition to larger boxes and more packing materials which would drive shipping costs significantly higher for everyone. To date, all headbaskets damaged in transit have been replaced or microphone bodies refunded if no longer in stock. The examples below are from customers and in each case, the external packaging exhibited no signs of traumatic crushing and wood boxes were intact. Understood, Chunger. I didn't realize that's how they get bent like that. It's a shame this kind of thing happens. Can you send me a replacement headbasket next week? If you have the time, I would be awesome if you could just answer and complete our conversation on how to proceed with my order so it at least can get placed in que for shippment! Just as you predicted. Chunger replaced the headbasket and sent it out quickly. And a big thanks to Chunger. I was wrong to doubt you.